An interesting new patent application from Panasonic, including non symmetrical pen and dot pattern. “Dai Nippon Printing (DNP) is, to the form data creation system using a digital pen, it has announced it will release was added to Microsoft’s spreadsheet software “Excel (Excel)” support functions “DNP digital pen form tool for Microsoft EXCEL” . The system, digital pen, software installation license certificate, contains a dot pattern license file that you want to use to the form or the like for entry, the price is open. If the succeeed, CECI, a long term Anoto share holder, will be satisified. CESI concludes that following the digital writing and dot pattern technology evolution is very exciting. What will the future bring? 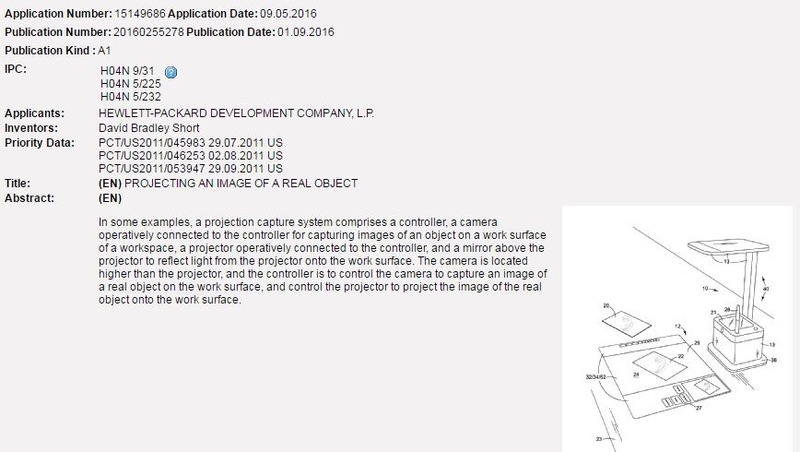 New patent application from HP refering to hologram for alignement. An interesting read. Seaweed-Eating Cows – The Key to Saving the Environment? 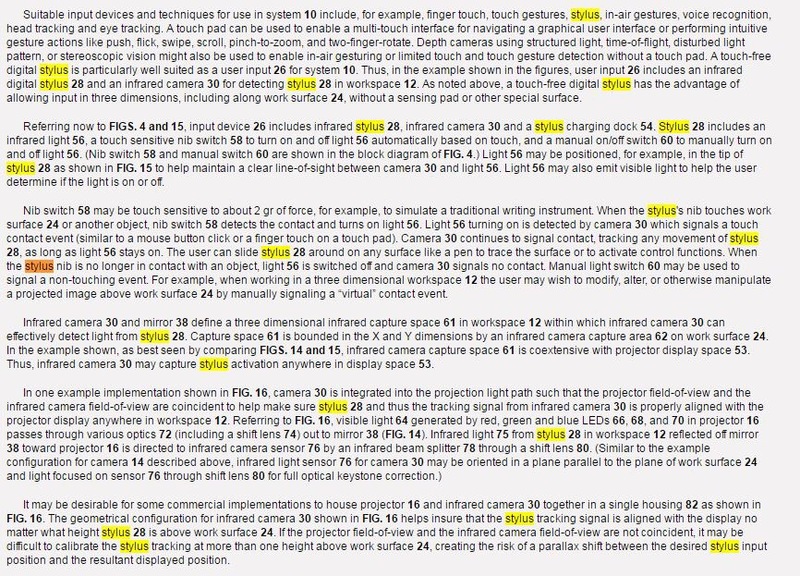 “Various embodiments will be described below by referring to several examples of securing a mobile device based on analyzing patterns of the mobile device. For example a user’s to store coal usage and movement patterns may be detected and analyze to create a pattern profile for the user. As long as the movement and use of the mobile device match the pattern profile, the device may remain unlocked and/or the device may utilize only the basic lock screen. When the movement and use of the mobile device do not match the pattern profile, however, the mobile device may activate the lock screen if it is not already in use, may implement a second, higher security access control, or may perform another action such as notifying a user or administrator that the security of the mobile device may be compromised. A drug to treat the disease of aging? Another interesting new HP patent application. A new patent application from the Anoto partner Dai Nippon has been published. CESI is somewhat uncertain but interpretes the claims as being focused on “lean type” production methodology of the Anoto pattern. What is your conclusion? Note: This time Wipos translation tool was unsuccessful. Instead, please apply the google translate selection. The google translate button will appear when pressing the machine translation button in the attached link. A position-encoded film on a display of a computing device (e.g., a laptop computer, a desktop computer, a tablet computer, etc.) may be used by an input device (e.g., a digital pen) to determine its location relative to a display. The position-encoded film includes a positional encoded pattern of positioning points (e.g., identifiable or detectable dots, marks, etc.). The positioning points may not be detectable to the human eye such that they do not affect viewing of the display. For example, the positioning points may be comprised of infrared (!R) ink or near IR ink that may be detected by an IR sensor or camera capable of detecting IR light. An input device may continuously or repeatedly emit IR light and capture images of the position encoded film (and reflected !R light) and analyze the images to determine the location of the input device relative to the position-encoded film based on the captured images and a geometric location of the input device 1 10 (using any suitable techniques). HP, the lord of the ring? Will the company replace the classic mouse with a ring? In one embodiment, the portable transporter system can include, wherein the unique identifier can include at least one of: an Anoto code printed onto a label of a container; a barcode on the cassette could be a vantage compatible preprinted code being inserted into the container; a barcode on the cassette identifiable by a barcode reader when the container arrives at accessioning stage, wherein the barcode reader is tied to patient-ID associated to a code of the container; or a unique label with Anoto pattern on the container, wherein the container is picked randomly, pen ties code electronically to patient-ID, and handwritten link and an identifier to be copied from a label of the container onto paper. An example pattern capable of providing unique encoded absolute positional information between the visibly transparent polarizing elements 130 is the Anoto dot pattern described above. Disposing the polarizing elements 130 in an Anoto compliant pattern provides a unique location identification system using the detector 145 capable of detecting the changed polarization state 135 of the light passing through the polarizing elements 130. Although the Anoto dot pattern is used as an illustrative example, any comparable predetermined pattern capable of providing unique encoded absolute positional information between the visibly transparent elements 130 may be similarly employed to dispose or locate the elements 130 in, on, or about the carrier 125. Bull market ahead for soft commodities?